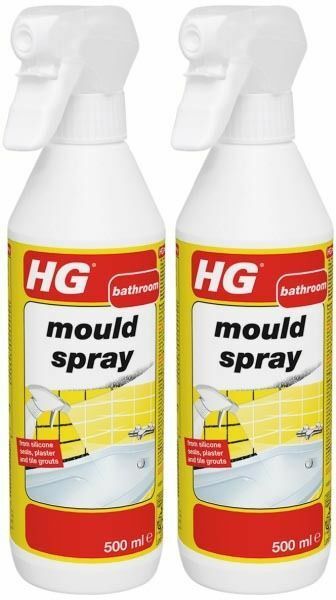 HG mould spray effectively removes all brown stains caused by mould, fungus and algae. These unsightly black or brown marks are found on the silicon seal between the bath tub and edges of tiles, on the shower cubicles and on plaster. HG mould spray is also highly suitable for the removal of coffee or tea stains from plastic worktops. Spray HG mould spray on the surface from a distance of 3 to 5 cm. Repeat the treatment on badly affected areas after 30 minutes. Allow 30 minutes for the product to work and then rinse off with water and a sponge.